Finally complete that Gen 2 Pokedex! It looks like Pokemon Go is about to get another influx of rare and powerful Pokemon. A recent datamine and livestream sprite reveal has given us our first look at the Go versions of Smeargle, Celebi, Jirachi, Nincada, Ninjask, Shedinja, Clamperl, Huntail, and all four forms of Deoxys. The glimpse comes courtesy of a Pokemon Go community member who goes by "Chrales" (yes, with the R before the A). Chrales has made a name for himself on the Pokemon Go sub-reddit r/TheSilphRoad, and on the evening of July 10 he boosted that reputation even further by revealing the sprites of the aforementioned Pokemon via Twitch livestream. It's not clear why some of these Pokemon have been absent for so long, but there are a few prevailing theories: Smeargle, for example, can only use the move Sketch, which copies the last ability used by an opponent; that could be tricky to implement with Pokemon Go's tap-happy combat system as opposed to the main games' turn-based gameplay. 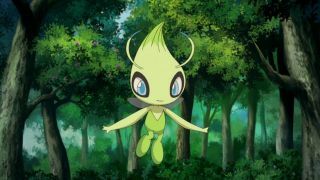 Celebi and Jirachi are likely being held until the next Special Research event, where players undertake a series of quests before ultimately being rewarded with a Mythical Pokemon. Right now players who complete every Special Research mission can catch the ultra-rare Mew, so it makes sense that Celebi and Jirachi would be obtained in a similar manner. Deoxys is a Legendary Pokemon - not quite as rare as a Mythical Pokemon, but far more powerful than most. So Niantic is likely just waiting for the right time to let it roam free. In the main games, Clamperl can evolve into Huntail or Gorebyss depending on what item it's holding when traded, so it's possible Niantic wanted to hold off on this Pokemon until trading was implemented (even though the developer has already let several Pokemon which would normally need to be traded to evolve do so simply by interacting with an item in a player's inventory). As for Nincada - this one is a bit strange, and it'll be interesting to see what extra wrinkles Niantic adds to this unique Pokemon. See, when Nincada evolves into Ninjask, it leaves behind its shell, just like a real-life cicada would. If you have an open spot in your party, you'll gain Shedinja at the same time. Shedinja only has 1HP but is immune to a lot of different effects, so when used cleverly it can actually be pretty devastating. In any case, it looks like more Pokemon are on their way, and likely soon - after all, Pokemon Go Fest 2018 is just around the corner, on July 14 and 15. Get the best games and entertainment news, reviews, tips and offers delivered to your inbox every week by signing up to the GamesRadar+ newsletter today.